Even though they look like gentle giants from afar, one would prefer not to get too close to the Lords of the Lost Sea. They are the last humpback whales to survive Tsukuyumi's return to Earth. Altough the Moonfall destroyed their habitat, Tsukuyumi'S life-giving energy also gave them an evolutionary leap that changed their fate. And which will now herald the demise os many other species. As the moon displaced the waters of the Pacific, leaving barren wasteland behind, a small herd of humpback whales retreated into the last remaining ditches to await their end. The shores came ever closer, and it was only a matter of time before the sun would dry out the last spots of the former sea. Meanwhile, the waters turned red from Tsukuyumi's blood, which poured from the gaping wound in his body - struck by the spear of the Kami hunters. But Tsukuyumi's suffering changed the fate of the troubled whales. For when the blood reached the animals' ditch, when it touched their skin, when they ingested it with the last remaining food - it entered every corner of their body and stimulated life to change: Grow to survive! Their lungs became stronger, their skin hardened to oppose the stinging sun, and a second pair of strong fins grew out of their bodies so that they could escape their prison. When the whale king finally rose out of the water, he came to realize that his old kingdom, the widths of the ocean, had disappeared. And that the land was populated by beings who had never belonged here before. To regain their former homeland, the rulers of the forgotten ocean will drive away all invaders and make the vast land their kingdom, just as the water once did. 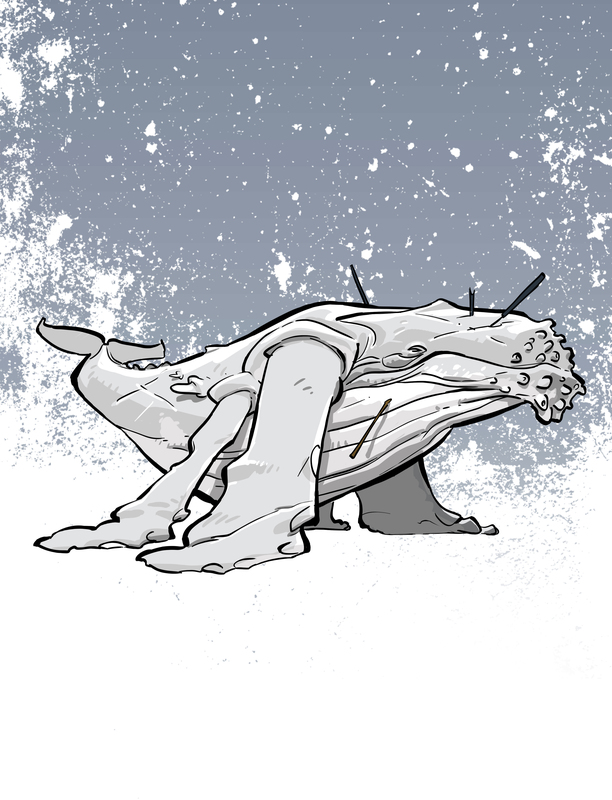 The Whales play at a slower pace than other factions. The ponderousness and mass of their units is very noticeable. They can displace enemy units and move them against their will; at the same time, they have enough Health Points not to fear most attacks. The Lords of the Lost Sea are suitable for players who like a passive-aggressive style of play, as they can remove enemy territory markers and block movement paths. They mainly win by their ability to remove enemy territory markers and thus very quickly destroy their opponents' progress, rather than by conquering lots of territories themselves.